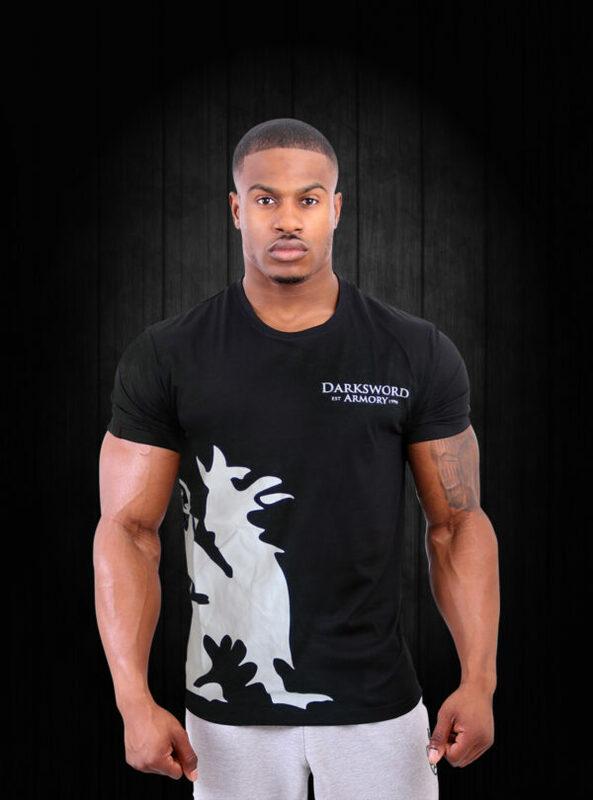 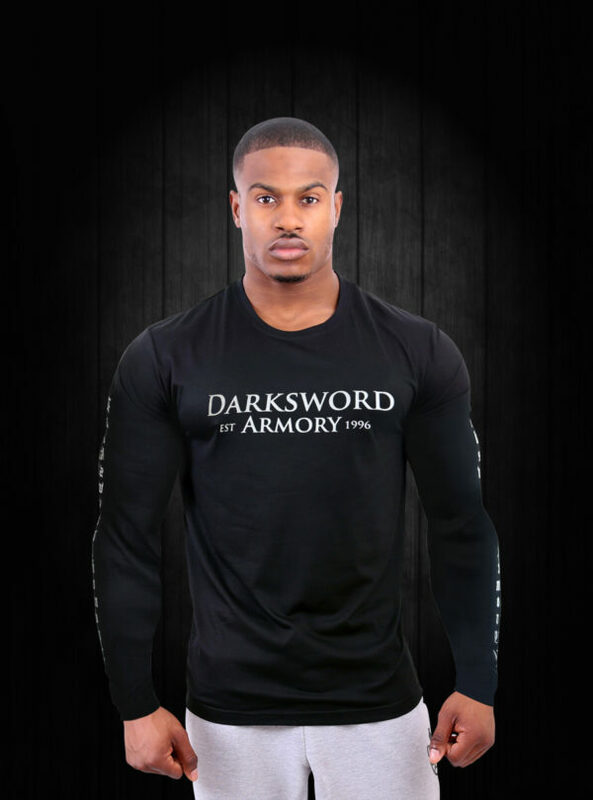 The Long Sleeve Darksword Armory tee is a long-sleeved black cotton crew neck tee with a sleek distressed quality printed ‘’Darksword Armory’’ brand on the front. 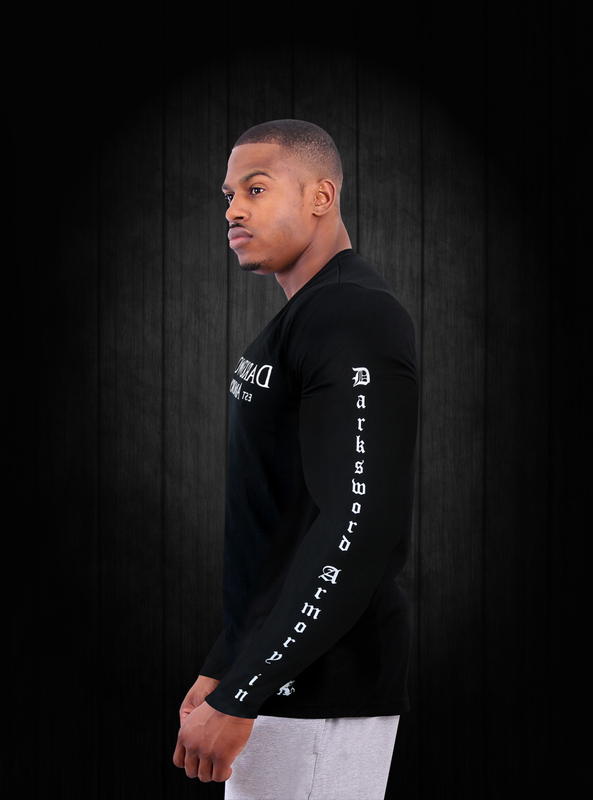 The special edition long sleeve Tshirt features the established date (2006) at the front. 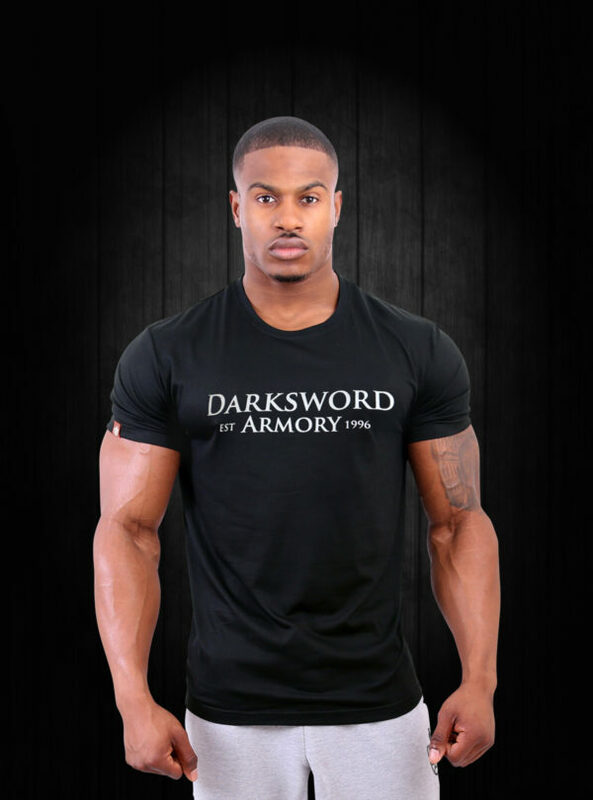 The Darksword Armory inc. 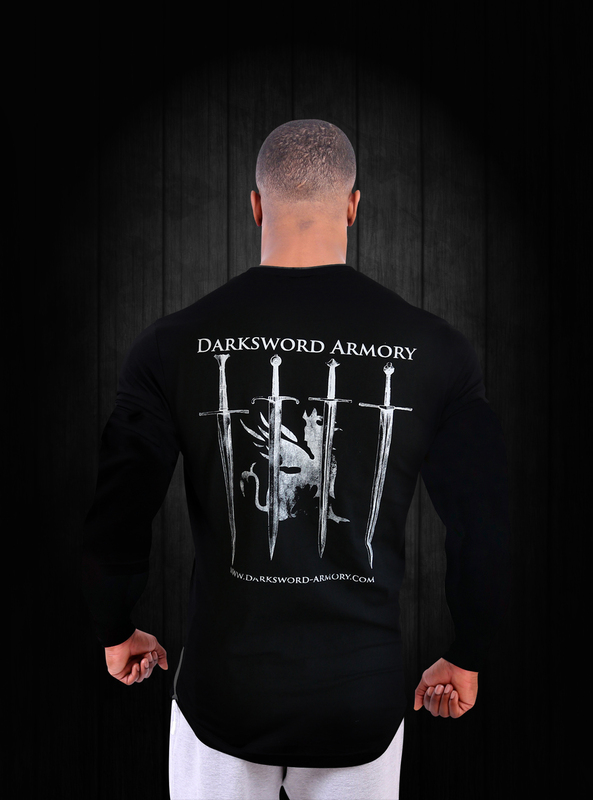 Brand is also printed along side both sleeves in Gothic font. 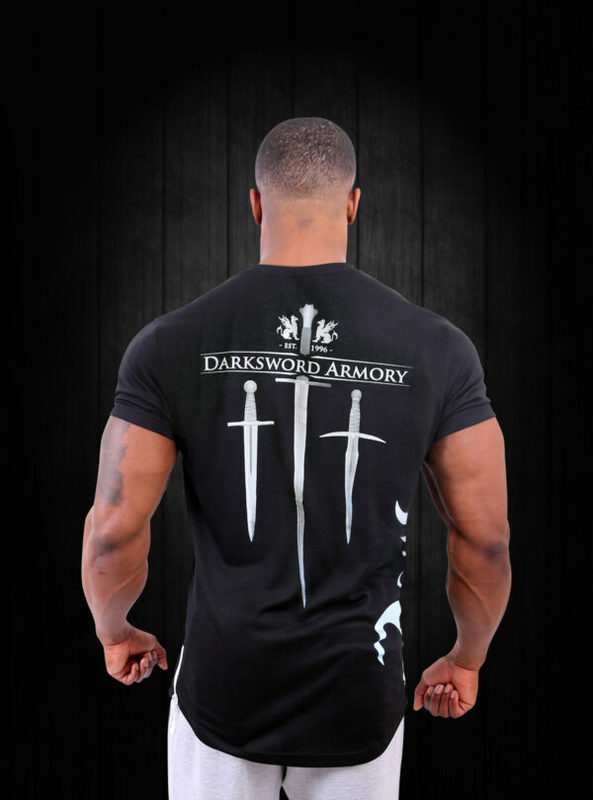 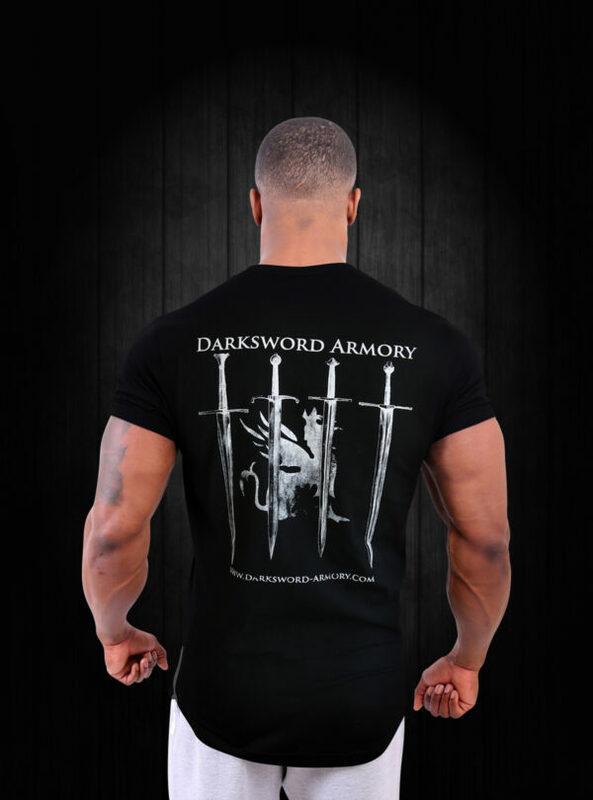 The back print offers a sleek distressed quality print of the Darksword logo with four of our Swords, namely the Gothic longsword, Henry V sword, The 13th C. Sword and the 100 year war sword.